Little Missouri is closed for the season. 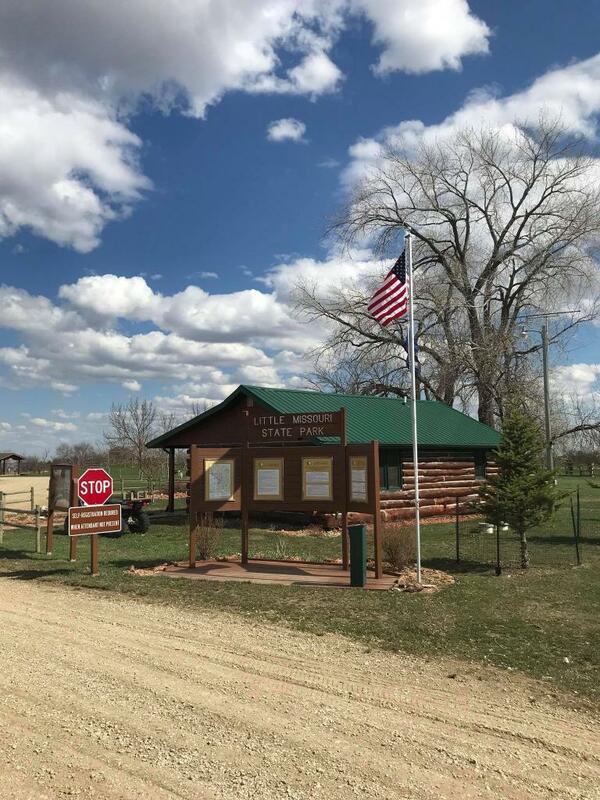 The park will open again May 1st, 2019. 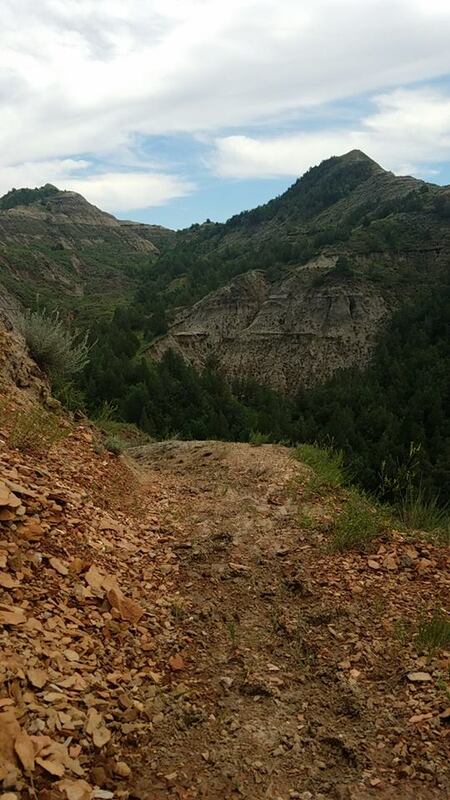 Little Missouri State Park contains some of the most rugged, picturesque Badlands terrain in the state. Open seasonally, Little Missouri is the perfect spot for the true adventurer. ** Visit the Features Tab for day use fees and information. 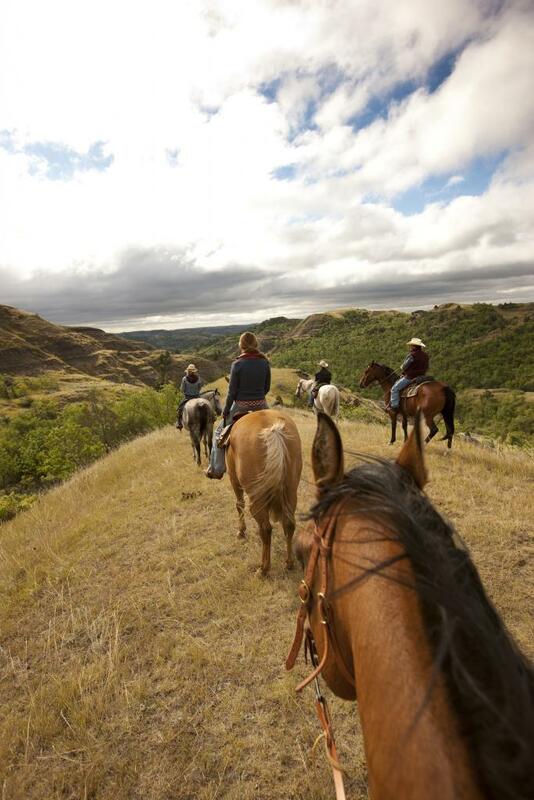 Little Missouri State Park is one of North Dakotas designated horse parks. This park is set up with 81 corrals and additional amenities to accommodate equestrian users. Many of the trails are located on privately-owned land. Please respect the rights of landowners and keep your horses on the designated trail right-of-way. Four picnic shelters are available for rent, two small and two large. The shelters can be reserved for the day and overnight use. Overnight users can pay an additional fee to use the campsite located next to the shelters. 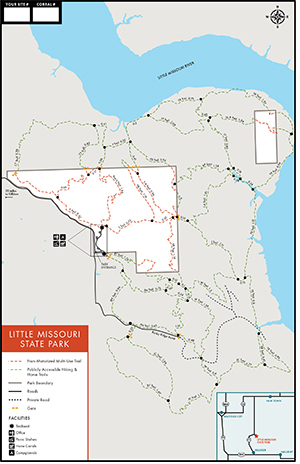 Little Missouri State Park has over 45 miles of trails in the park open to horseback riding and hiking. Visitors should check with park staff about current trail conditions as they can vary depending on weather conditions.